The Vaal University of Technology’s Autumn Graduations continue to generate more exciting moments for students. 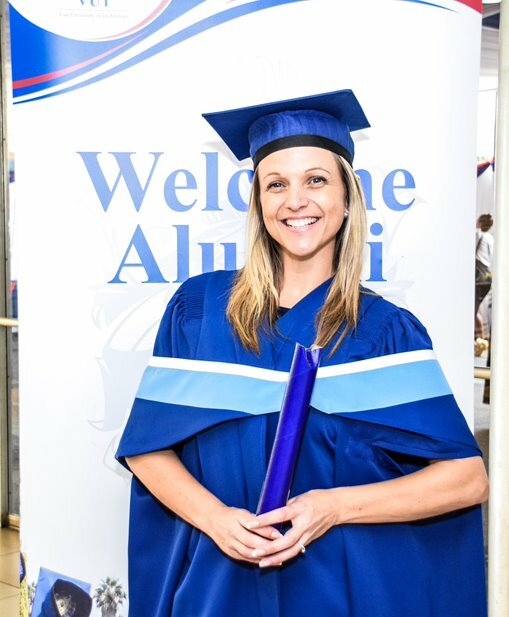 On Wednesday, 10 April 2019, Ms Amelia Van Den Berg had mixed emotions when she realised that she was the only student to obtain her Magister Technologiae in Human Resource Management, even though she started the qualification with a large group. This motivated her to do even more. Ms Amelia Van Den Berg encouraged others to never stop learning, and go for everything they wanted in life. She further added that “no matter how bad the situation is, just look on the bright side of things and in that way you will succeed”. ” Education has no age or time limit, if you dream, the dream will keep you to moving forward, don’t compromise or settle for less” she said.